Many of us have watched the Harry Potter series and up until now, we are yet to know the story writer of such a series. For those of us that first read the book, we may be conversant with the name J.K. Rowling and may have a picture of a well-established woman. But how did J.K. Rowling start? Where was she before ‘Harry Potter’ was published? Who is J.K. Rowling? How could you quote Rowling effectively when you don’t know her? Well, let’s meet the legend. J.K. Rowling knows a thing or two about adversity. The author of the popular book franchise in history came from far behind, traversing enormous personal hardships, poverty, and depression on the way to becoming the inspiration she is today. Rowling wrote the first installment of the Harry Potter series while her life was at the very rock bottom. She faced a great trauma when she lost her mother, and as if it was not enough for her, her short-lived marriage, which lasted for 3 years (1992-1995), collapsed. She was out of work, a single mother battling severe clinical depression, at a point Rowling started contemplating suicide as a way out. When Rowling wrote her first book she was a single mother trying to raise a child on state welfare benefits of $90 US a week (about £68 at the time) in a mouse-infested flat in Edinburgh. She was so poor that it was rumoured that she couldn't afford to heat her flat in the winter [to which she denied in an interview in 2000] so by day she went and sat in a local coffee shop with her baby daughter, nursing an espresso for hours as she worked on her manuscript. She was, in her own words, “as poor as it is possible to be in modern Britain, without being homeless,” feeling like an epic failure at every level, and living hand to mouth without a hint of a light at the end of the tunnel. Rowling dived into a world of writing as a way of distracting herself from the bombardment of misfortunes that continuously threatened to crush her spirit. On some level, she knew that channeling her drive into the one thing that kept her going – that kept her dreaming – might also have been the thing that literally kept her alive. It took Rowling five long, tiring and trying years of writing and a barrage of rejections from a dozen different publishers, before the aspiring author persevered — and ultimately triumphed. “Harry Potter and the Philosopher’s Stone” (‘Harry Potter and the Sorcerer's Stone' in the US) was later published by Bloomsbury in June 1997, and it turned out to be a huge success and almost instantly into a global sensation. With more sequels later, the Harry Potter series has broken record after record, selling 450 million copies in 78 languages worldwide, spawning eight blockbuster film adaptations, and inspiring a generation of young readers from around the world. 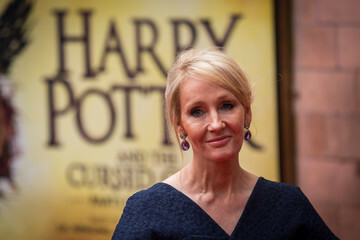 By the year 2000, Rowling had become the highest-earning woman in Britain, with an income of more than £18.3 million ($29.3 million) in the previous year. In 2001 her annual earnings were estimated at over £21.4 million ($34.3 million), placing her between Madonna and Paul McCartney in the ranks of high-earning celebrities. The world-wide success of the Harry Potter movies gave her earnings another huge boost. In 2004, Forbes magazine estimated her fortune at just over £576 million ($1 billion), making her the first person ever to become a US Dollar billionaire by writing books. Rowling never forgot where she came from, and has donated hundreds of millions of dollars to charities as a result, actively supporting over a dozen organizations, and establishing her own children’s foundation, Lumos, in 2005. J.K. Rowling’s often told story is one that merits retelling. Rowling achieved huge success despite all these obstacles, and there is no reason why you could not be just as successful as she is. You may ask ‘What is the full meaning of J.K. Rowling?’ Or ‘What is J.K. Rowling’s full name?’ Well, let’s find out. 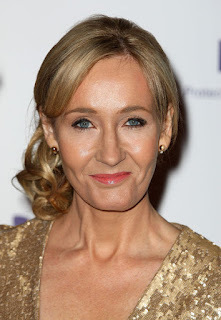 Joanne Kathleen Rowling was the first child born to Peter James Rowling, a Rolls-Royce aircraft engineer, and Anne Rowling, a science technician, on July 31, 1965 in Yate Gloucestershire, England. When Joanne Kathleen was 23 months old, she had a sister Dianne. Her family later moved to a nearby village called Winterbourne when Joanne was four years old. As a child, Rowling often wrote fantasy stories which she frequently read to her younger sister. And at the age of nine, Joanne moved to Church Cottage in the Gloucestershire village of Tutshill, close to Chepstow, Wales. As a young teenager, J.K. Rowling received a copy of Jessica Mitford’s autobiography, Hons and Rebels, from her great-aunt, which she fell in love with. Mitford became Rowling’s heroine which made her read all of Mitford’s books. Her home life was complicated by her mother’s diagnosis with sclerosis and a strained relationship with her father. This incidence at J.K Rowling’s age of 11 gave birth to the character ‘Hermoine Granger’ in the ‘Harry Potter’ series. Joanne Kathleen Rowling attended St. Michael’s Primary School. Her headmaster at St. Michael, Alfred Dunn, gave her the inspiration for the Harry Potter headmaster ‘Albus Dumbledore’. She attended her secondary school at Wyedean school and college, where her mother worked in the science department. She earned a B.A. in French and Classics at the University of Exeter, after being turned down by Oxford. She graduated from Exeter in 1986 and moved to work at ‘Amnesty International’ as a bilingual secretary and researcher. In 1990, while Joanne Kathleen was on four-hour-delayed train trip from Manchester to London, the idea of ‘a story of a boy attending a school of wizardry’, which she had conceived while working for Amnesty International, became a full-blown story in her mind. On reaching her flat, at Clapham junction, Rowling immediately began to write the story. In December, same year, J.K. Rowling’s mother, Anne Rowling, died after 10 years of suffering from multiple sclerosis. The death of her mother greatly affected her writing. She channeled her feelings of loss by writing Harry’s own feelings of loss in a much greater detail in the first book. An advertisement on ‘The Guardian’ made Rowling relocate to Porto, Portugal, where she met her first husband Arantes, to teach English as a foreign language. She taught at night and wrote her story in the day, while listening to Tchaikovsky’s violin concerto. By December 1993, she moved to Edinburgh, Scotland, to be near her sister with three chapters of her book. Rowling came to see herself as a failure because her marriage failed and she had no job, with a dependent child to cater for, but she described her failure as liberating, allowing her to focus on writing. During this period, J.K. Rowling was diagnosed with clinical depression [A mental health disorder characterized by persistently depressed mood or loss of interest in activities causing significant impairment in daily life.] and contemplated suicide. Her illness inspired the characters ‘The Dementors’, which are soul-sucking creatures introduced in the 3rd book. J.K. signed up for welfare benefits, describing her economic status as being “poor as it is possible to be in modern Britain, without being homeless”. J.K. Rowling obtained an “Order of Restraint” after her estranged Portuguese husband arrived in Scotland seeking both her and her daughter. Rowling filled for a divorce in August 1994 and by August 1995 began a teacher training course at Moray House School of Education, at Edinburgh University, after completing her first novel while living on states benefits. She wrote in many cafés, especially at Nicolson’s café and Elephant House, wherever she could get Jessica, her daughter, to fall asleep. How Did J.K. Rowling Make It? Having finished her manuscript for ‘Harry Potter and the Philosopher’s Stone’ on an old manual typewriter in 1995, the Fulham-based ‘Christopher Little Literary Agents’ agreed to represent J.K Rowling in her quest for a publisher. The book was sent to twelve (12) different publishing houses and all of them rejected the manuscript. After a year, she got a positive response [with a £1500 advance] from an editor in Bloomsbury, a publishing house in London. The editor was Barry Cunningham. Cunningham advised J.K. Rowling to get a job, since she had little chance of making money in children’s books. In June 1997, Bloomsbury finally published the “Harry Potter and the Philosopher’s Stone” with an initial print of 1000 copies, 500 of which were distributed to Libraries. The worth of such amount of copies today is between the prices £16,000 and £25,000. Five months later, the book won its first award, a ‘Nestlé Smarties Book Prize’. After which it won the ‘British Book Award’ for ‘Children’s Book of the Year’ and later the ‘Children’s Book Award’. In early 1998, an auction was held in the United States for the rights to publish the novel, and was won by ‘Scholastic Inc.’ for US $105,000. Speaking on that, J.K. Rowling said she “nearly died” when she heard the news. And by October 1998, Scholastic published ‘Harry Potter and the Philosopher’s Stone’ in the United states with the title “Harry Potter and the Sorcerer’s Stone’, which Rowling later regretted not to have pursued to refute. Rowling moved from her flat to ’19 Hazelbank Terrace’ in Edinburgh with the money from Scholastic sale. The two sequels of the Philosopher’s Stones; ‘Harry Potter and the Chamber of Secrets’ and ‘Harry Potter and the Prisoner of Azkaban’, won the ‘Smarties Book Award’ in 1998 and 1999 respectively, making J.K. Rowling the first person to win the Award three times consecutively. And ever since then, every of her Harry Potter release had set an all-time record and has each won at least an award. This is a question I would love you to ask yourself, what on earth is holding me down? What is my excuse with all the privileges I have at my disposal? Many people have made, and are still making, their income or earnings through “Harry Potter” because J.K. Rowling in the face of depression and adversities persisted and never gave up on life. If she didn’t then you tell me; why should you? Why give up on enhancing that science fair project to something more useful? Why give up on that method that would save your company a cent on each product? You may have the idea to build a platform to raise young innovative minds, and you think and feel that no one is going to listen to you. Or you want to make transportation more conducive and affordable and you feel like the juggernauts in the industry have a better chance than you do. Please just start it and leave the idea of “is it going to work?” for later. When Rowling started writing her book, there wasn’t scarcity of books in the market but that lady prevailed. Why? She found her uniqueness. She looked within. She didn’t write because others were writing. She never stopped because there were better writers in the industry. You too can find your uniqueness if and only if you will start and look within instead of looking outside. Many of us just walk through life transferring blames and refusing to take responsibility for our lives. The truth is that many of us have much more privileges than Rowling and her likes yet we go around blaming parents, governmental systems etc. yes, they have their roles but they are not the primary factors, we are. You can check out Rowling’s quotes, so far, here for more insights.